I finally have transportation outside of my feet! 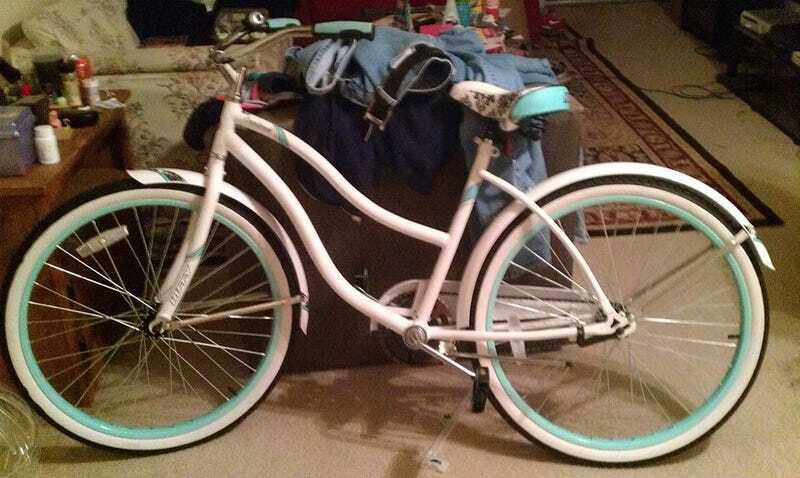 It was $100 and I also got a basket for it, but I need an allen wrench before I can attach it. While I was waiting for the cab to take me home (because I also got a bunch of groceries), this little booger plopped on my arm from out of nowhere and then decided to hang out on my bike.